fun Comes First. This jungle-themed table is loaded with activities to keep little hands busy having a ball. 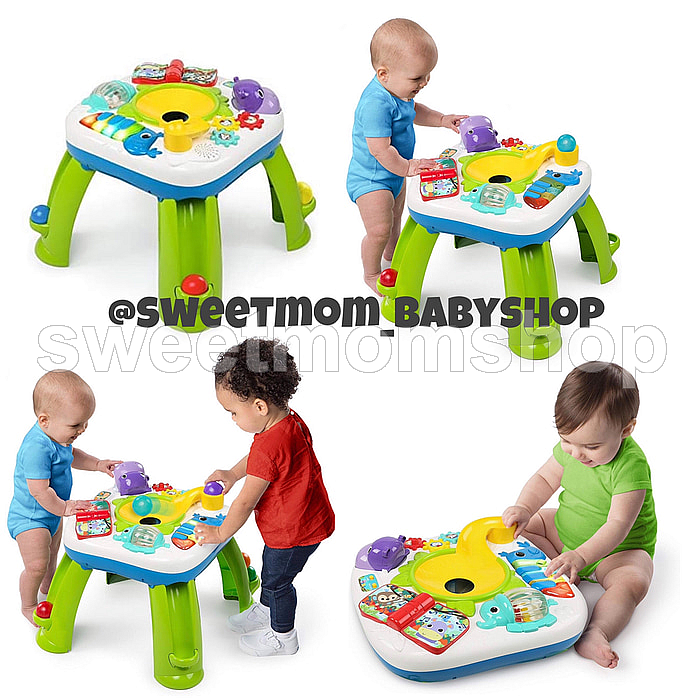 The Having a Ball Get Rollin' Activity Table' from Bright Starts has a fun ball drop ramp with spiraling balls, lights and music. 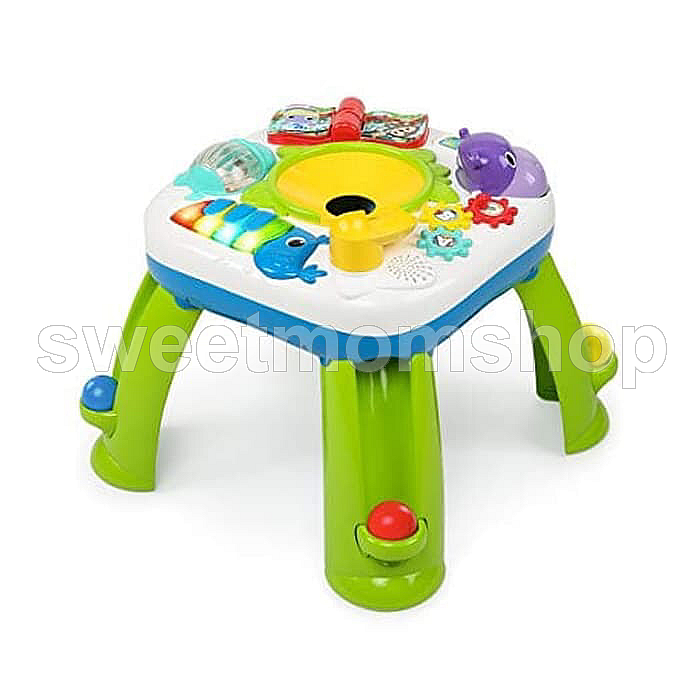 the elephant toy spins and plays silly sounds and melodies. Baby will hear words in four languages: English, French, Spanish and German. There is a colorful toucan whose beak doubles as piano keys so baby can create their own music or hear colors and shapes. The hippo's mouth opens and closes and makes funny sounds. Turn the pages of the book to switch from play to discovery modes. And that's not all, this amazing table includes over 60 songs and activities, 6 balls and volume control. Nobody gets the giggles going like Bright Starts.